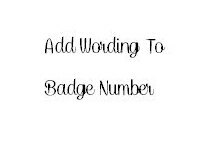 Purchase this listing to add wording to the bottom of a badge number. Please be sure to tell us the wording you would like added in the "NOTES TO SELLER" box upon check out. *Note this listing is for wording only. The wooden badge number must be purchased separate. The wording that was added is written in what looks like marker or paint pen. I was expecting something a little higher quality for the name. The plaque itself is so pretty but the wording makes it look cheap. Kinda disappointed. Very nice gift item. 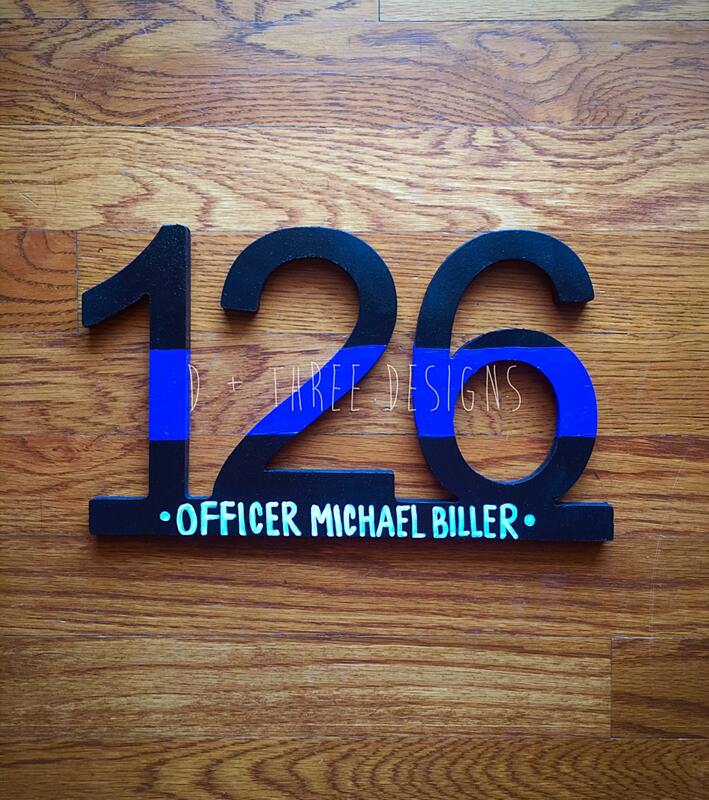 I gave this to my husband for his 20 year anniversary on the police department. 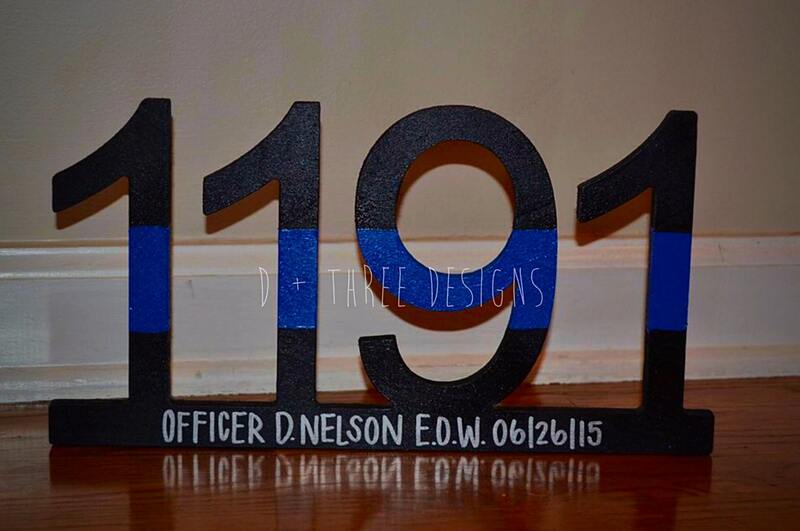 It will be displayed with his other police awards.